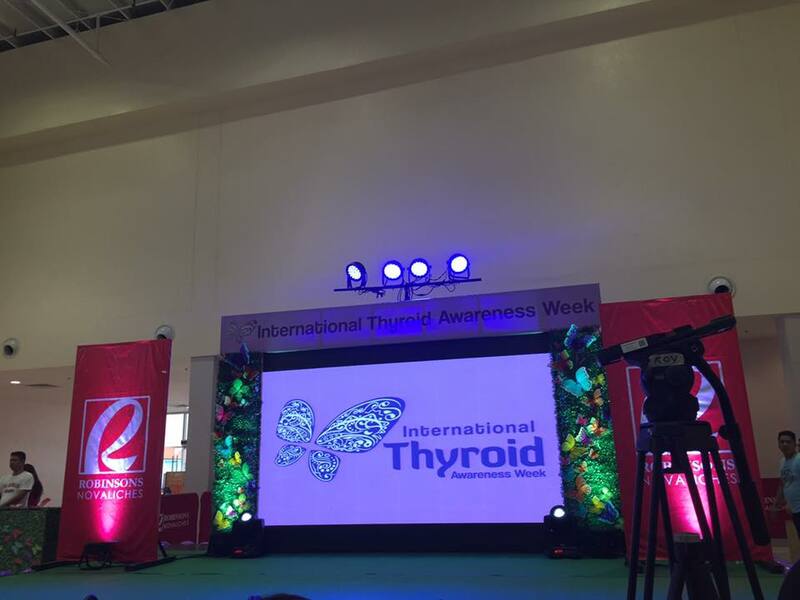 Last month, during the International Thyroid Awareness Week (ITAW) held at Robinsons Novaliches, hundreds of people attended the event organized by healthcare innovator Merck (read about it here: Thyroid Awareness Week). 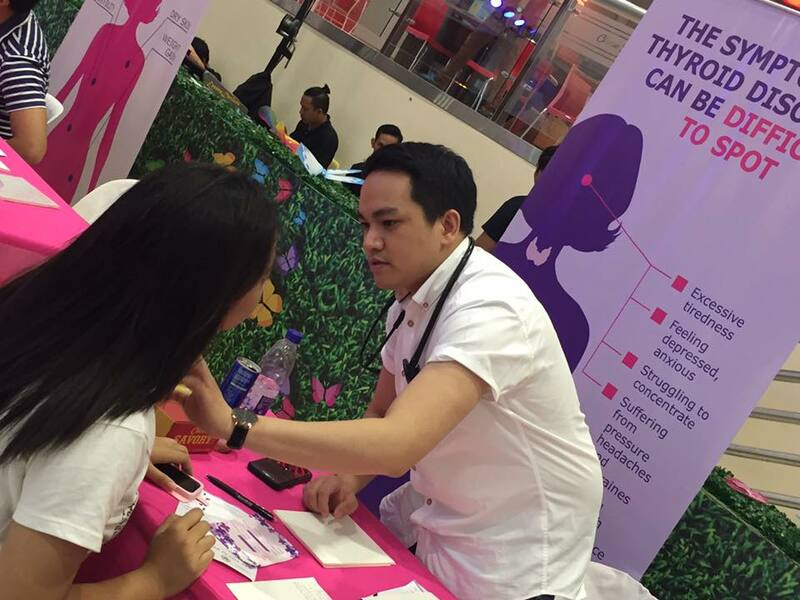 It is quite amazing that there's really a big number of people who has already an awareness about thyroid diseases, especially the women. "Women are much more prone to thyroid diseases than men," to quote from what I learned from the event. 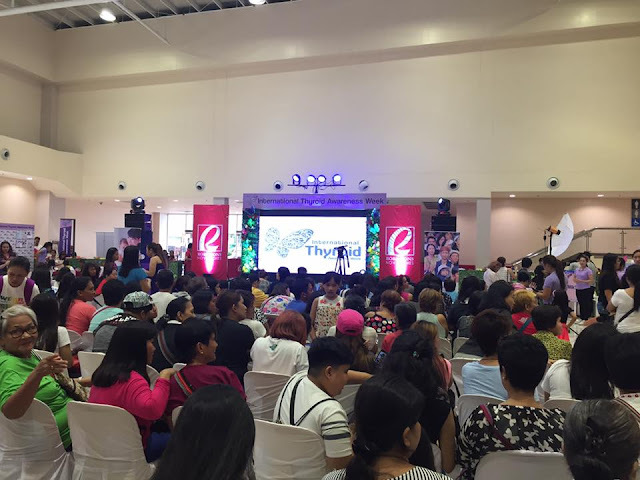 A team of Endocrinologist was present at the event and offered free consultation and offered medical advice to all who joined the event. Aside from the personal consultation and screening, special guest speaker Dr. San Luis explained the importance of the thyroid gland in a person's body and how it functions. 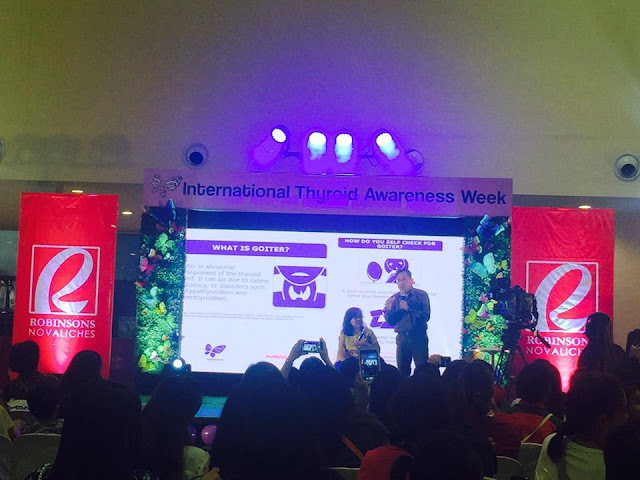 Also discussed was the difference between hyperthyroidism and hyperthyroidism. Goiter, on the other hand is easier to detect since there is a visible bulge on a person's neck. Of course, having a doctor's consultation and tests are really needed to determine if that bulge is really goiter. 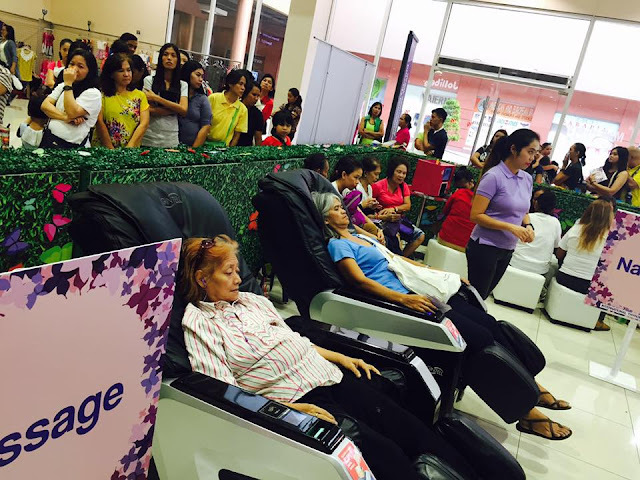 Hyperthyroidism's symptoms are fatigue, insomnia, rapid heartbeat, tremors, weight loss, etc. 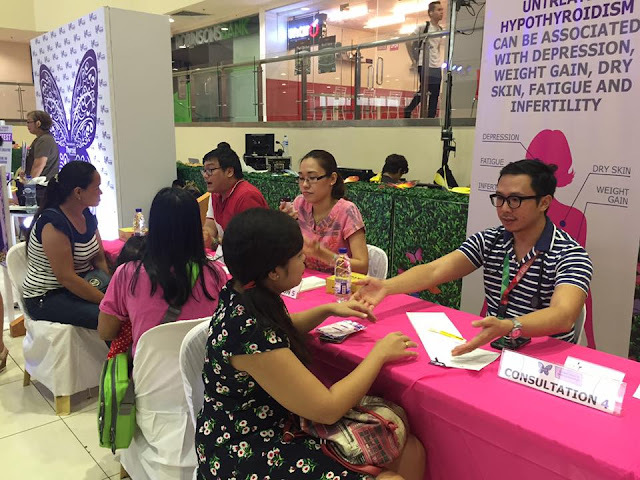 Hypothyroidism meanwhile makes the person depressed, gain weight, constipated, suffer from dry skin, etc. Early detection can help cure thyroid diseases. 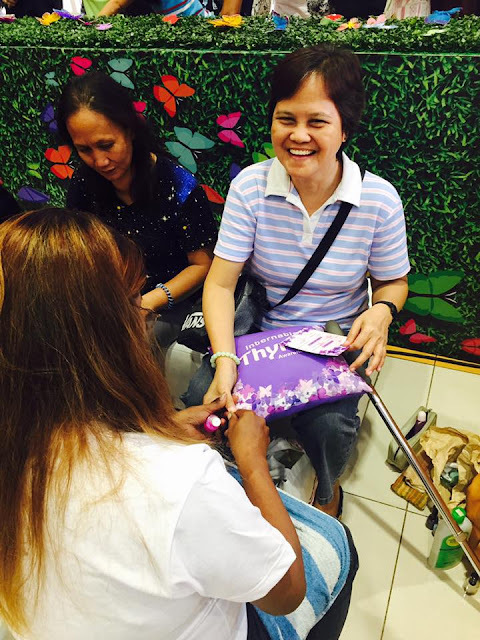 And as an added treat to those who lined and signed-up for the free consultation and seminar, the participants received some pampering session and there are also lucky ones who won prizes.